Mom, the Intern: Best friend birthday. 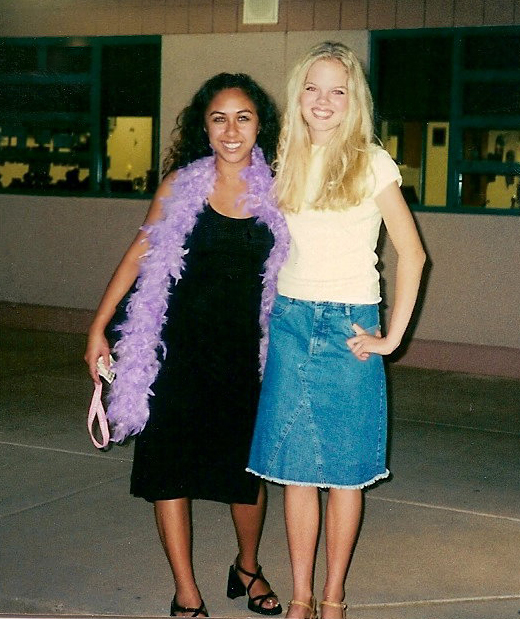 Wow, check out this ancient (10-year-old) picture of me and my best friend, MoniQue (it's hard to believe I ever looked like that). Today is her 25th birthday! HAAAAY! I decided to write a tribute post to her on this special occasion. You only turn a quarter of a century once! MoniQue and I became fast friends in our 7th grade French class. The teacher sat us in alphabetical order and our maiden names happen to start with the same letter, so she sat directly in front of me. We quickly realized we had a lot in common. We were both very organized, detail-oriented, academic and, to put it nicely, easily stressed out. We were old souls. We both had curly hair that we were desperate to straighten and we liked to dance. We wrote notes to each other, choreographed dance routines, ate lunch together every day, made up code names for boys we liked and met up between classes whenever possible. We called each other our "twin," even though (as you can see) we look nothing alike and to make it even more absurd, I actually have a real twin. Our friendship continued to grow throughout junior high. At the end of 8th grade, we finally acknowledged we would not be attending high school together due to the fact we lived rather far apart. This was really hard for me. We were practically joined at the hip. I was sure no one could fill her void. 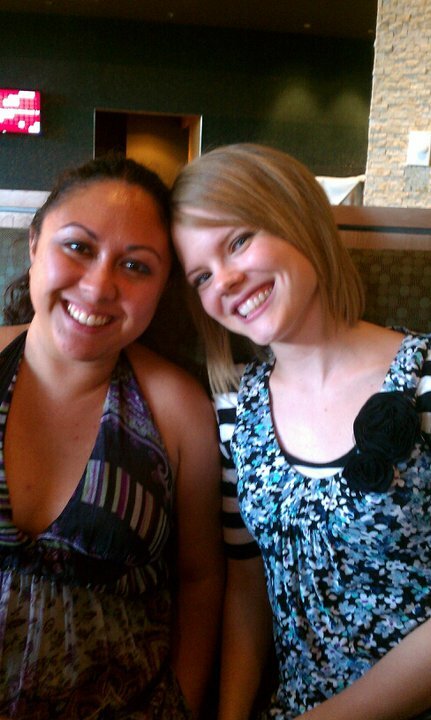 And while I did end up meeting new friends in high school, I was right -- none of them could replace Moni. Throughout the years, we've stayed in touch, even when it was difficult. Recent events have brought us closer together than ever and it's great! I love chatting with her on the phone in the afternoons, just like old times. I've always said the mark of a true friend is one whom you can go months, even years without talking to, but when you reconnect it's like no time has been lost at all. This perfectly describes my relationship with Moni. MoniQue has always been there for me. No matter how much distance separated us, she has been present for every major event of my life. She is like this with all her friends; she cares about whatever is important to them. I love that about her. Moni-ey, you are the best friend a girl could ask for! I hope your birthday is awesome. You've been through so much in your 25 years and you've always come out on top. You deserve the best! P.S. : You should all take a gander at MoniQue's blog. She's a foodie and loves social media almost as much as she loves me. Which is sayin' something. I couldn't ask for a better best friend than you! Just like twins, we have always shared the same definition of a "true friend." I am so blessed to have a friend like you in my life. Here's to many more years of friendship and less years of embarrassing photos (no more boas)! What a sweet post! I agree on your definition of a true friend, but I also think a friendship is only as meaningful as the amount of effort you put into it, and I think you guys have proven that right. I love that you guys have found simple ways to stay in touch, even if you couldn't meet up everyday. Happy birthday MoniQue! How sweet :) Friendships are amazing, huh? And seriously, you looked like that at 14? Your poor dad must of had to carry around a gun. I'm so serious! This is so sweet. Happy Birthday to your bestie!